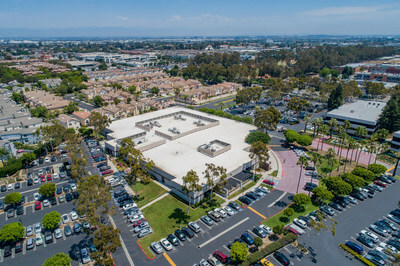 LOS ANGELES, Feb. 11, 2019 /PRNewswire/ -- Optimus Properties, LLC, through an affiliate, has completed the purchase of a single tenant office building located in Torrance, CA. The building, built in 1989 and renovated in 2010, is occupied by the Los Angeles Department of Children and Family Services ("DCFS"). The property, located at 2325 Crenshaw Blvd., consists of a 60,804 square foot office building with 350 parking spaces on 5.50 acres of land in Torrance. The building was sold by the original developer to Optimus. The property is located within four miles of three major Los Angeles Basin Freeways-San Diego (I-405), Harbor (I-110) and the Artesia (SR-91). Situated between the Palos Verdes Peninsula and Manhattan/Hermosa/Redondo Beach, with convenient access to the major economic centers of Downtown Los Angeles and El Segundo, the property offers an ideal regional location. Additionally, the property is located in a densely populated, irreplaceable location at the intersection of Crenshaw and Sepulveda Boulevards, two of the main South Bay thoroughfares. The property has served as a key DCFS regional office since 1999 and services 27 different zip codes throughout the south bay grid. DCFS renewed its lease for this location for the second time in June 2017. The County maintains a strong investment grade tenant rating (Moody's: Aa1; S&P AA). "We are looking forward to working with the County to extend the lease beyond the current expiration date" stated Kamyar Shabani. "The tenant, the use and the property seem to be a perfect combination for each other and we look forward to serving the tenants needs for a long time" added Joseph Shabani. Optimus Properties, LLC, located in Los Angeles, California, was founded by Kamyar Shabani and K. Joseph Shabani and employs a disciplined investment approach focused on value creation in office, retail, office and medical office properties throughout Los Angeles.